Eden Newman is a minority. She’s oppressed, abused, half starved, living day to day on government sponsored happy drugs, just trying to stay out of the way and out of sight. Her only hope for survival is to find someone willing to mate with her before her 18th birthday. It’s hard being Eden, in this futuristic dystopian fantasy. It’s hard being white. Yes, that’s right. In this new future, white is wrong, the minority, the segment of the population least likely to survive on an over radiated planet and therefore the segment doomed to be the underclass. The darker your skin, the more power you hold in the world, as a revered Coal. The paler your skin, the more likely you are to be a never mated Pearl, cut off from government resources and left to die on your 18th birthday. Revealing Eden by Victoria Foyt stretches the limits of the Sci-Fi genre, all at once trying to be dystopian fiction, Sci-Fi/Fantasy, sultry romance and a coming of age novel. Luckily Foyt has the writing skill to make it work. Eden comes across truly a product of her environment, scared, distrusting and desperate for love. Yet, she grows up, finds love, connects with family and skirts danger and lives for adventure once she connects with who she really is. And she does all of this growing up in a world that wants her dead. This book was really enjoyable and sets up a good storyline and environment for future novels in the series. 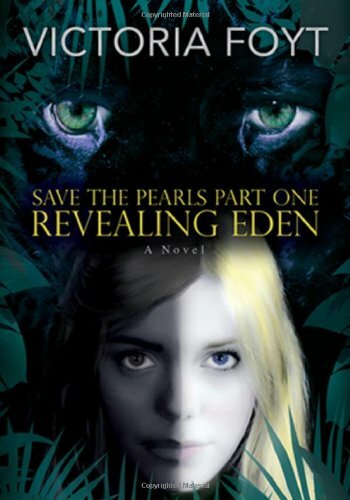 I’m looking forward to the sequel, Adapting Eden.